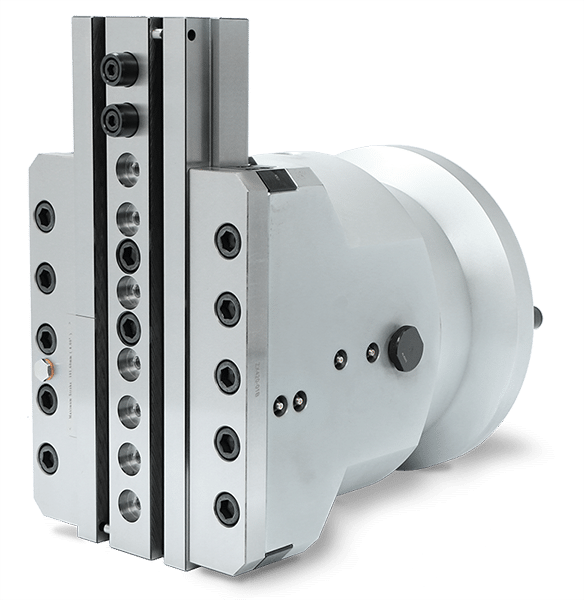 The ZX™ system requires the use of a horizontal boring mill with a programmable inner spindle that rotates in unison with the outer spindle, or milling sleeve. 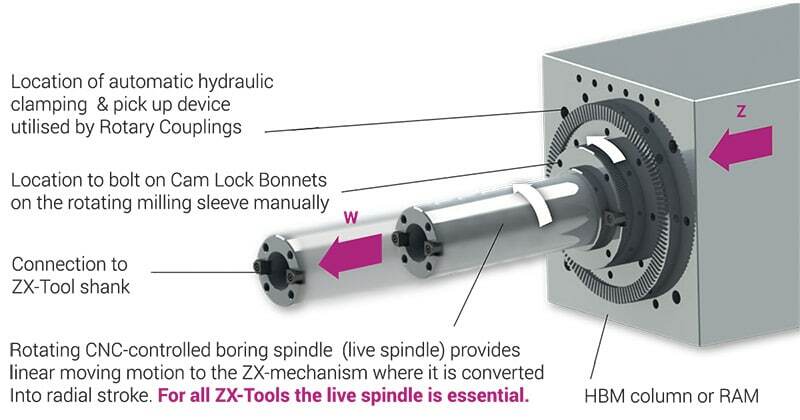 The axial movement of the inner spindle is converted within the tool into radial cutting stroke for diameter control. Movement of the table, or machine column, on a parallel axis controls the axial location of the cutting edge relative to the part. In most horizontal boring mills, these two axes are referred to as “W” and “Z”. The ZX system features a quick release mounting device called a CamLock bonnet. 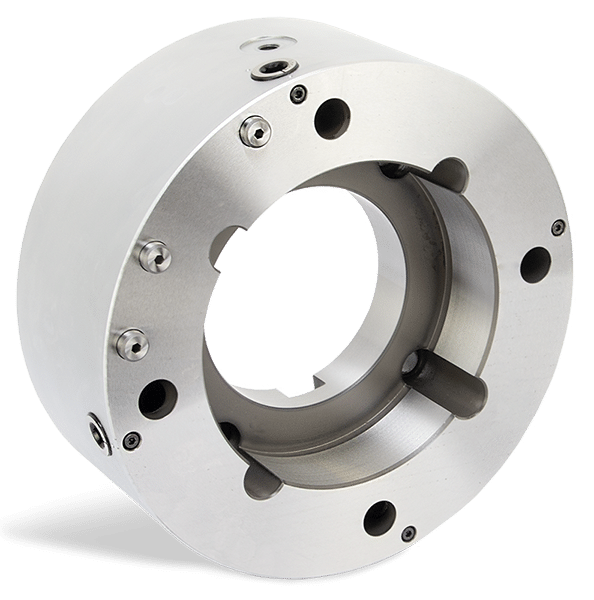 The bonnet is precisely machined to fit the specific Horizontal Boring Machine (HBM) for which it will be installed. 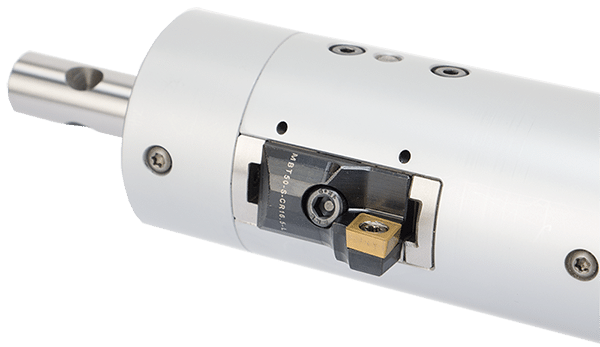 The bonnet bolts to the outer spindle of the machine and utilises our quick-release CamLock mechanism, which is designed with you in mind. It is the first integral part in our modular system (bonnet / head / slide adapter / cutter) and is designed to reduce downtime in production. 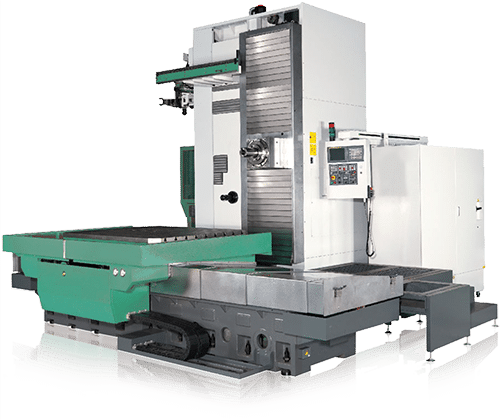 When the bonnet is installed it literally functions as part of the machine and offers a generous engagement surface for the ZX tool, providing maximum support and rigidity and eliminating loads on spindle bearings. CamLock allows for the swapping of the various heads and tools onto the bonnet with a simple marrying of four points and locking with an Allen Key. It’s available on all our ZX tooling systems and offers the ability to quickly change tooling applications with ease.